Unified Payment Interface is a real time payment system that helps to transfer funds instantly between two banks with the help of mobile phone. Ever since the launch of UPI in August 2016, the face of digital payments has changed vigorously. Today, UPI has become the most preferred mode of payment. UPI has undoubtedly simplified the digital payment ecosystem and is constantly evolving to simplify it even more. 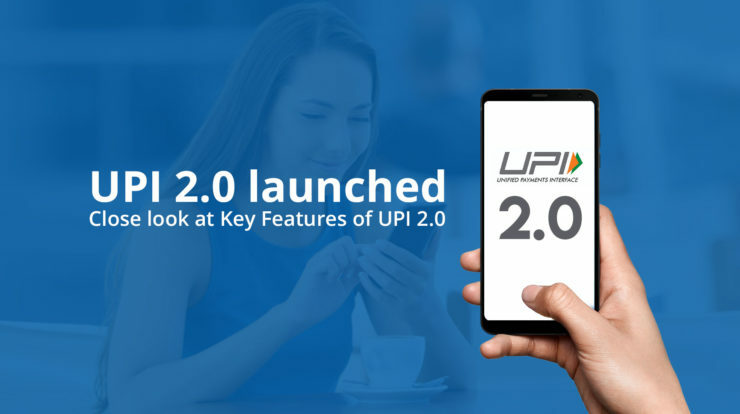 With the launch of UPI 2.0, we will now be able to do lot more than we ever did before. It has got some new cool features that will take the digital ecosystem a step ahead. Let us learn about the new features. The QR-core on UPI 2.0 will include a certificate which will ensure that the money has been transferred in the right account. As of now, UPI only allows you to link your savings account. But with UPI 2.0 platform, you would be able to link an overdraft (OD) account too. This feature will enable merchants to take credit using their overdraft account for making a transaction. Let’s say, you went to a shop to purchase a product and made the payment using UPI. So, once the merchant receives the payment, an invoice of the same can be generated and sent to the customer. As of now, UPI allows you to send up to Rs 100,000 a day. But with UPI 2.0, the transaction limit will be doubled to Rs. 200,000. This feature will help the merchants to secure his payments. Let us suppose that you are going on a holiday, and booked a hotel. In such a case, particular amount will be blocked on your bank account and once your stay is over, it will be debited. The same could apply for e-commerce purchase too. When you order a product, the said amount will be blocked, and after the delivery is complete, the amount will be released. UPI can be used to transfer funds 24*7 including holidays. Single mobile application for accessing various banks accounts. Uses Virtual Payment Address which is a unique ID as given by the bank. Every bank provides its own UPI for different platforms. It can be used for merchant payments, utility bill payments, in-app payments and barcode payments.